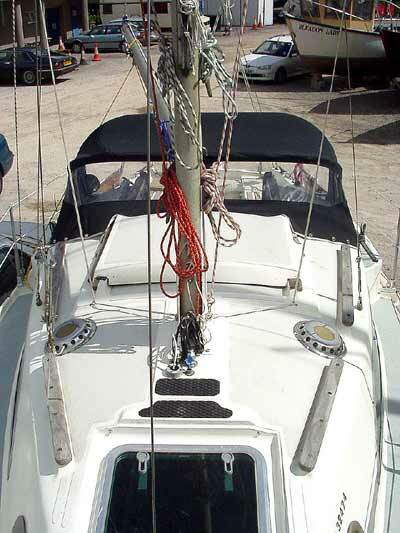 Just the sails to go on here - and anti foul. I used pale blue in the end - a hard version of the Seago Brand. Didn't get a pic - all a bit of a rush in the end for the launch. All new stuff now is on the sail site new section. So essentially this page wraps up an important chapter. 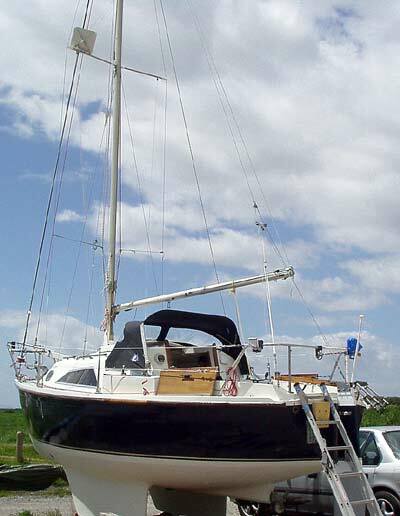 All ready for the water - and that's a very tidal estuary, mud berth and sailing area known for its rough conditions and extreme tides - she is going to be well tested, but hopefully is well prepared. I've given it my best shot - and it's taken a while. A new adventure begins - afloat ! - Going to be interesting I think !